17.05.2013. Irving, Texas, USA. 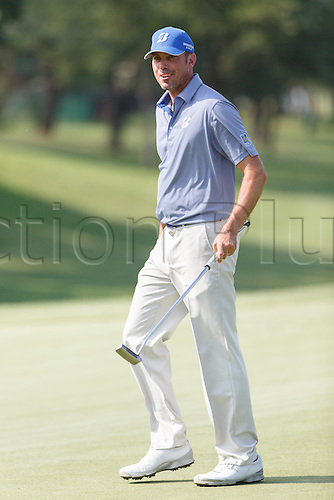 Matt Kuchar smiles after sinking his putt on #16 during the second round of the HP Byron Nelson Championship played at the TPC Four Seasons Resort in Irving, TX.